We offer free pick up from accommodation! We schedule our daily dives based upon currents and tides, as well as our divers level of experience. All of our dives are done in small groups! Located only a short distance from the wharf which is close to the most famous dive site in the area, Tiputa Pass, Rangiroa Plongee is in a very convenient location. Scuba diving is one of the top tourism industries in Rangiroa. Rangiroa itself is an atoll which is located approximately 350 kms from Tahiti in the French Polynesian Islands. Boasting some of the best scuba diving in the world, Rangiroa is sure to satisfy the avid divers thirst and desire for big marine life. This area is well known for its abundance of sharks, rays, dolphins and other reef life. Rangiroa is one of the only places in the world where you will be able to dive with dolphins. Rangiroa Plongee is a dive shop in Rangiroa which was established in 2008 and has been providing top notch scuba diving experiences to each and every one of our customers since. Rangiroa Plongee is dedicated to providing our diving customers the best possible customer service, diving experience and personal attention that is possible while maintaining the respect that our ocean environment deserves. We have been happily supporting different ocean conservation projects since we began operating our dive shop and will continue supporting these worthwhile causes. For your comfort and safety we offer diving in very small, personalized groups. With Rangiroa Plongée, no rush, no divers factory but a team of enthusiasts professionals listening to you and who guarantees you the best conditions of supervision and security. Our dive professionals will lead all dives, supervise all divers and offer you the safest diving conditions possible at all times. We take pride in allowing you to dive according to your wishes and your skill level with the only limit being your own skills, air consumption and decompression tables. Your guides and instructors speak different languages and they are qualified to the highest internationally recognised diving standards. Our goal is to insure that every person diving with Rangiroa Plongée has a safe and enjoyable dive experience with memories to last a lifetime. From the very beginner to the most experienced diver, we offer you the experience that fits you the best. Introductory dive, training dives to get certified, snorkeling for non divers, and fun dives for certified divers. You’ve never been diving? Go back home with the best memory of your holidays by doing your introductory dive with a personal guide, or discover the marvelous seabed of Rangiroa from the surface with snorkeling. And why not take the opportunity to pass a first level of diving, or improve with additional training. Rangiroa’s lagoon is what brings divers from around the world to this small atoll in the middle of the Pacific. The fantastic visibility and the shear volume and density of marine life is astounding. On the outgoing tide, diving is done on the ocean side of the reef. When the tide is coming into the lagoon is when drift dives are performed with the current. This tends to be our customers favorite option. The marine life that you may encounter is very impressive. 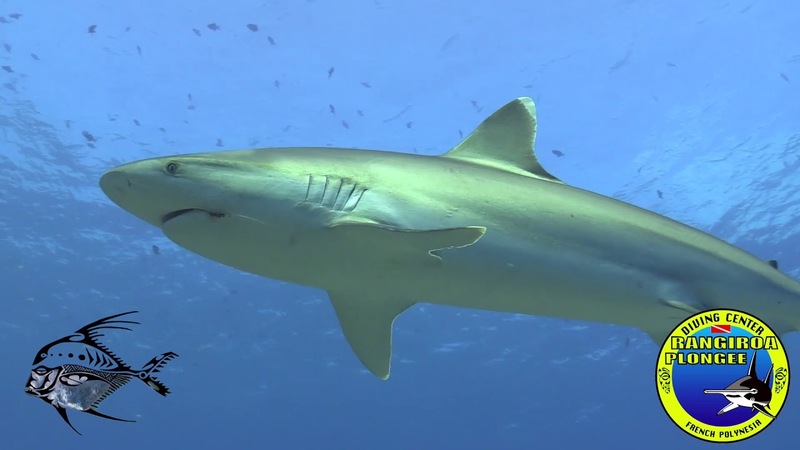 There are manta rays, eagle rays, turtles, moray eels, schools of barracuda, grey reef sharks, black tip sharks, the occasional great hammerhead and even the silky shark can be witnessed on occasion. When the tide is going out another one of our favorite dives to do is the steep oceanic drop-offs where there is much less current. There are sedentary dolphins which frequent this area and encounters with these animals are regular occurrences. There are also several different species of rays and turtles which can be found in these dive sites along with countless fish. Lagoon dive (10-30 feet). If you are looking for the perfect place to learn to dive the lagoon is the spot. With locations where the depth doesn’t go beyond 30 feet this is a great place for an introduction to scuba. This dive site is full of colorful reef fish. Divers can also witness blacktip sharks which can be found resting on the sand while eagle rays pass by. If you have a spouse who may be a little nervous about trying out diving this is a very welcoming place for their first experience. Drift snorkeling in the pass is a fun adventure! If you are not a diver, but you wish to discover some treasures of the underwater world, we will take you on a snorkeling tour: Let yourself be safely carried along by the current. The underwater life reveals all its treasures before your eyes in the clear waters of Rangiroa. An experience guide accompanies you in small groups in the activity that everyone can enjoy. We supply all the necessary equipment.